For this price and location, you will not find anything better!!! Space rent is also very low! 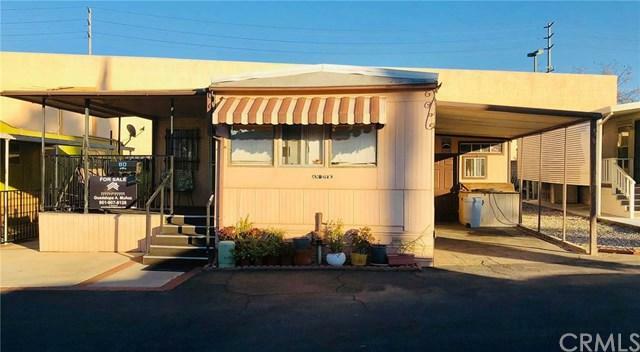 55 and over mobile home park centrally located close to shopping, public transportation, freeways and schools. Mobile home has been very well taken care of and is in its original condition. Mobile home can be two bedrooms with its own laundry room or can be 3 bedrooms with laundry outside. Has 2 storage sheds and AN ADDITIONAL ROOM CURRENTLY USED FOR STORAGE. This mobile home is very spacious! Must see to appreciate! Must sell quick, send your best offer! Sold by Jean Bradshaw of Certified Home Sellers.